where a young child is offered a marshmallow to eat. However, if he or she can wait for a certain amount of time (up to 20 minutes), a second marshmallow will be given. It seems our ability to wait and delay instant gratification may be an indicator of faring better in life. 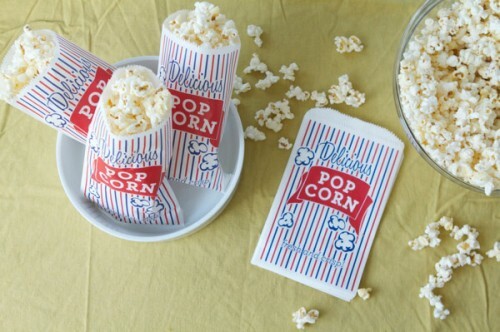 Well, we’ve not administered the “Marshmallow Test” at school, but how about Popcorn Day? We’ve had two Popcorn Days now since September to support our Grade Seven Year End Activities. For the first popcorn sale, we collected the children’s money and purchased the popcorn bags ahead of the school sale. Those bags smelled delicious as they sat in a large tray in the classroom while we ate our lunch. The children’s lunch conversation definitely focused on how good the popcorn smelled! A few children asked if they could have their popcorn with their lunch, but we said to wait until snack time (about 2 pm) in the afternoon. We explained that we wanted them to eat their lunch now, and we didn’t want popcorn dropped all over the classroom floor. We told the children we would enjoy our popcorn so much more if we waited for just a little while longer, and that for a treat we would eat it outside. On their way out to lunch recess, we had a couple more requests for popcorn but we gave the same answer–we would wait until snack time. At 2 pm we all went outside, sat in the sunshine and thoroughly enjoyed eating our popcorn. Many of the children patiently ate their entire bag; others ate about half and saved the rest to take home. The Kindergarten children had delayed their gratification, for actually quite a long time, and were very accepting of our reasonable explanation. For the second popcorn sale we did the same thing. We made an advanced purchase and again, the popcorn sat in the classroom during the lunch hour. We reminded the children that we would eat it in the afternoon. We tried to build a little anticipation around the idea of sitting outside on the playground, enjoying the company of our friends and eating our popcorn, and of how much fun that would be. The children left for lunch recess and not one child made a mention of popcorn until we announced it was time to eat! We would certainly say that waiting, waiting for their turn to talk, waiting to go to a favourite centre, waiting for an activity later in the day, is a skill well practiced by the children. In Kindergarten, we describe being patient as, “waiting without complaining.” Teaching and practising self-regulation strategies as we do, so the children are a) aware of their emotional state and b) know how to calm themselves or down-regulate, is why they are so calm and patient in class and in this case, able to delay eating their popcorn. So if Popcorn Day is an indicator of future success, we’d say the Kindergarten group is well on their way. Now, isn’t it about time for some popcorn? The next Popcorn Sale is Friday, January 30. $1 a bag.